Being naturally hypoallergenic it is gluten and lactose free making it a great option for vegans and those who experience food intolerances. Cold pressed and milled into a fine powder, it contains 52% protein and a complete balanced amino acid profile along with high amounts fibre (16%) and essential fatty acids (14%), making it a healthy addition to any diet. It has a green hue and earthy flavour which make it great for smoothies, shakes, healthy snacks and for healthy desserts, breads or pizza. 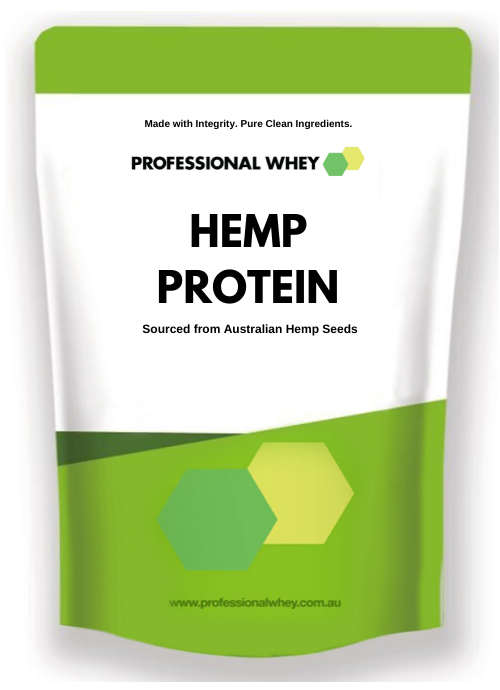 As the hemp is grown in Australia it is a very clean food source. Very little if any pesticides, insecticides or herbicides are used due to hemp not suffering with any significant pests, diseases or weeds. It is also great for farmers as it's fast-growing, uses little water and even helps with land management. Help us support our Aussie farmers. Consume with water or add to shakes, smoothies, bliss balls or your favourite baked goods.